Christmas is for the birds! New designs feature bluebirds, blue jays, chickadees, cardinals, and owls decking the halls -- and their birdhouses -- for the holidays. 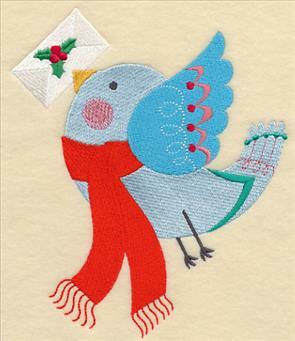 Add a touch of whimsy to holiday projects with cute Christmas bird clotheslines. Beautifully realistic birds send warm holiday wishes your way, appear in luxurious swag designs, and perch on holiday-themed birdhouses. 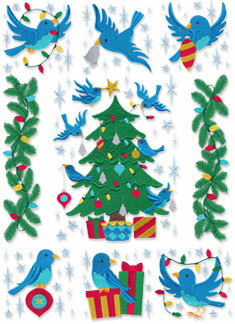 Bluebirds decorate the Christmas tree in designs perfect for creating a fa-la-la fabulous wall hanging. 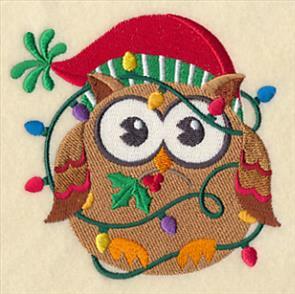 You'll also find owls dressed in their yuletide best, adorable season's greeting bird stacks, and more. 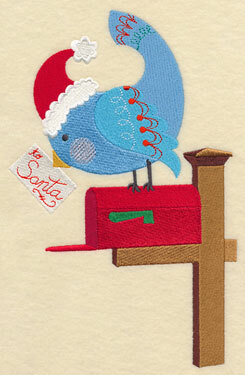 Scroll down the page and enjoy finely feathered holiday stitching! 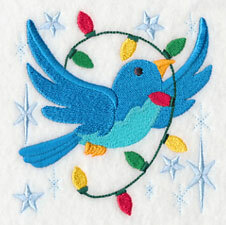 Create dazzling holiday decor with the Bluebird Holly-Dazzle wall hanging. Click here for free project instructions! 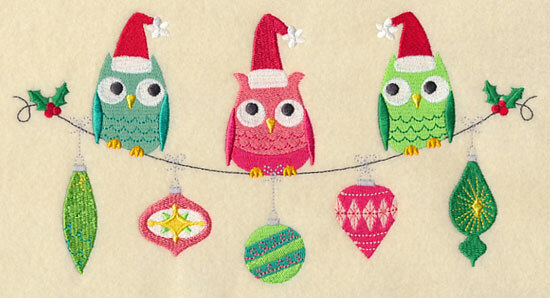 Owls in Santa hats peek around wondering, "Whooo is that coming down the chimney? Could it be Santa?" Add a Christmas clothesline to shirts for an enchanting look this holiday season. 9.40" x 4.90" and 7.80" x 4.07" and 6.85" x 3.58"
Birds on a wire bring bright color to shirts, totes, stockings, table linens, towels, and more. 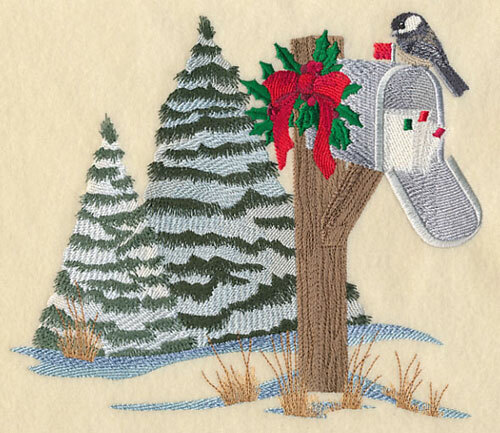 9.40" x 4.33" and 7.80" x 3.59" and 6.85" x 3.16"
Stitch season's greetings with a woodland touch. 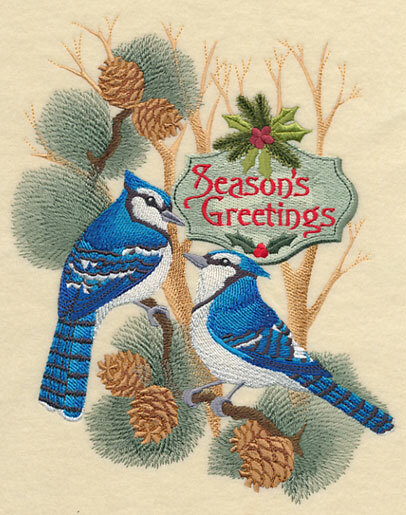 Blue jays perch on soft pine branches, and a vintage-style greeting adds a timeless element. Gorgeous on pillow shams and wall hangings! 6.90" x 8.61" and 5.89" x 7.33" and 4.88" x 6.12"
Pine cones dusted with snow add a fresh feeling to a sweet chickadee design. Wish family and friends a very merry Christmas and create an instant classic with this lovely scene. 7.30" x 7.79" and 6.86" x 7.32"
5.86" x 6.24" and 4.88" x 5.19"
Bring natural elegance to your holidays with lavish and lovely Christmas sprays. 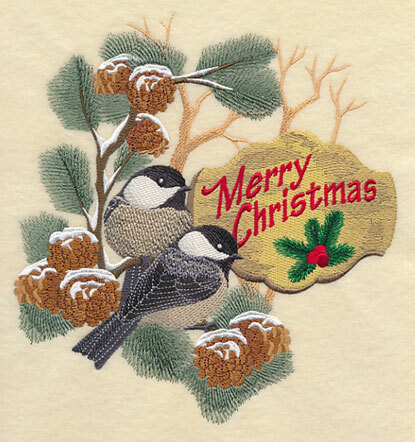 Chickadees and cardinals perch among noble fir and pine cones, with poinsettias and holly adding bright pops of color. Beautiful on table toppers, wall hangings, pillow covers, and more. 5.85" x 11.75" and 4.66" x 9.40"
6.21" x 11.73" and 4.97" x 9.39"
4.12" x 7.78" and 3.64" x 6.88"
Cardinals are always dressed for Christmas, and now their birdhouse is all decked out for the holidays, too. Celebrate the season with a lush holiday design sure to warm the hearts of all. 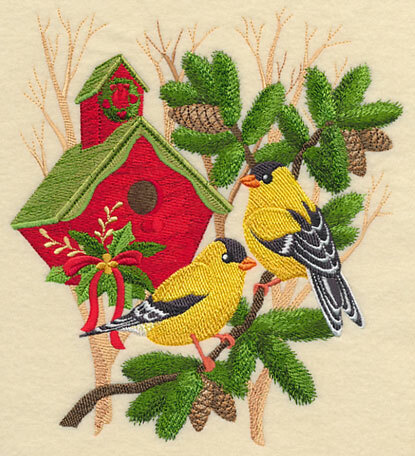 6.89" x 9.24" and 5.82" x 7.80" and 4.85" x 6.49"
Goldfinches in pine boughs and their holiday birdhouse add splendor to holiday stitching. The birds' bold coloring, the charming birdhouse, and the natural element of pine cones come together to create a stunning arrangement. Perfect for graceful wall hangings and mini-quilts. 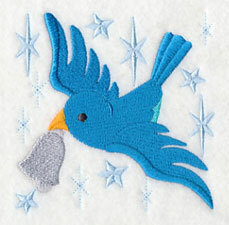 6.88" x 7.69" and 5.80" x 6.48" and 4.84" x 5.41"
Let charming bluebirds bring happiness to your embroidery projects! Fluttering with lights and ornaments, sweet holiday helpers fly among stars and trim the Christmas tree with style. 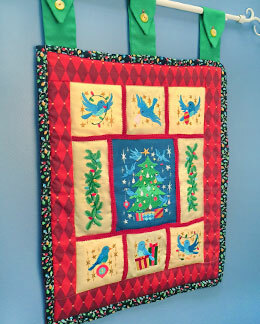 The individual bird squares below are sized to coordinate with the Christmas tree feature and pine and lights border to create a festive wall hanging. Choose the size design pack you like, then see the project instructions to see how easy it is to create a colorful and crafty holiday wall hanging with these designs. And of course, they can also be stitched individually onto stockings, pillow covers, gift bags, mini-quilts, and much more. 6.88" x 9.13" and 5.85" x 7.76" and 4.84" x 6.42"
Create an artful composition with bluebirds fluttering around the tree above, decorating it with lights and ornaments. The individual bluebird designs and the Christmas tree centerpiece combine beautifully with the border further down the page on a wall hanging to add a fun touch to holiday decor. 3.80" x 3.85" and 3.23" x 3.27" and 2.67" x 2.71"
Christmas ornaments shine a little brighter when they arrive by special bluebird delivery. 3.88" x 3.87" and 3.30" x 3.29" and 2.73" x 2.72"
In addition to wall hangings, Christmas stockings are natural landing places for these sweet bluebirds. No borders around the designs means you can position them any way you like. 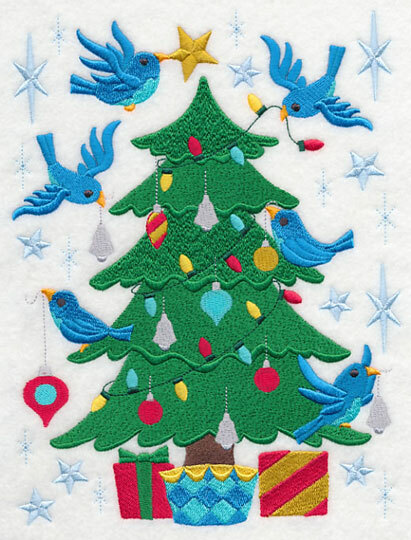 4.21" x 3.98" and 3.59" x 3.39" and 2.96" x 2.80"
A coordinating border combines with the Christmas tree feature and single bluebird designs into delightful wall hangings and adorable quilts. Also very fresh on towels and table linens! 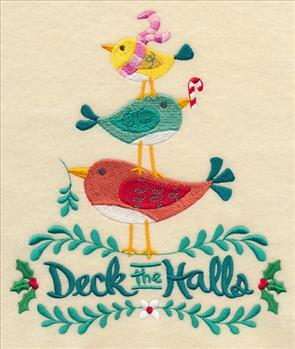 9.15" x 2.22" and 7.76" x 1.94" and 6.42" x 1.58"
Bluebird Holly-Dazzle Design Packs contain all the designs you need to create an adorable wall hanging with the layout illustrated at left. For a finished size of 24.5" wide by 35.5" high, use the large design pack. For a finished size of 21" wide by 31" high, use the medium size design pack. For a finished size of 17.5" wide by 26.5" high, use the small size design pack. 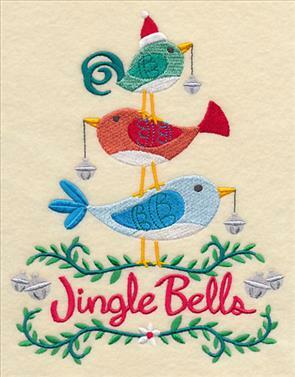 Click here for step-by-step project instructions demonstrating how to create a fun and festive wall hanging with the Bluebird Holly-Dazzle designs! 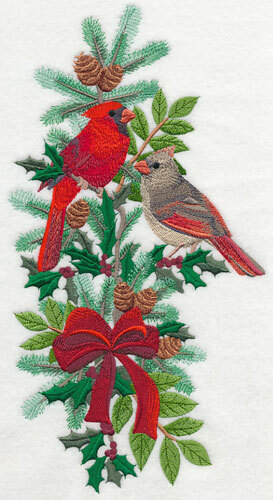 Create an embroidered work of art this holiday season with the Bluebird Holly-Dazzle Design Pack! The individual bird designs and border included in each pack are sized to coordinate with the Christmas tree feature to make a delightful wall hanging. Order the designs individually by clicking the links above, or get the pack with all 8 designs.Three sizes are available to suit any project. 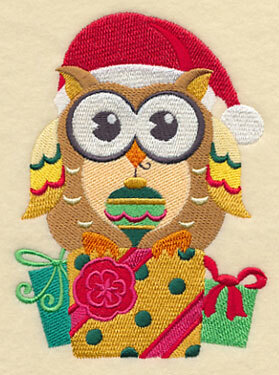 Whooo loves Christmas? 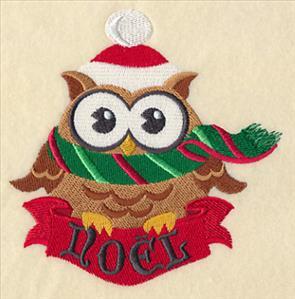 Owls bursting with the joy and yuletide charm of the season are ready to bring their irresistible appeal to holiday stockings, tree skirts, towels, sweatshirts, mini-quilts, and more. Bearing gifts and wearing antlers, these feathered friends want to come home with you for Christmas! 3.40" x 4.33" and 2.49" x 3.17"
Christmas comes but once a year, and these sweet owls are ready. They're not going to miss a minute as they wait for Santa in wide-eyed wonder. 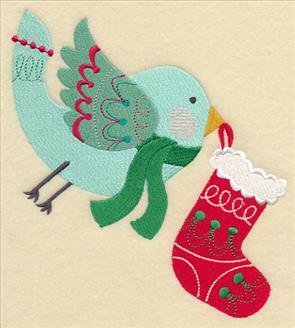 Add to holiday stockings for perching pals perfect for bringing smiles to young and old alike. 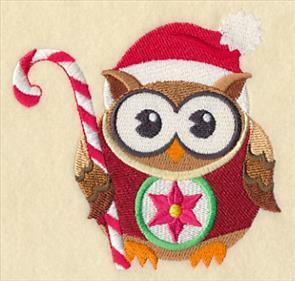 4.04" x 4.00" and 2.97" x 2.93"
Christmas owls are a fun way to celebrate the season. 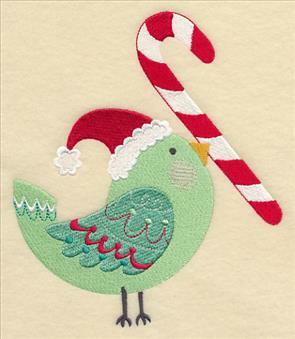 Add holiday joy to children's items like bibs, pajamas, and fleece with these funny and festive birds. Sweet on gift bags, too. 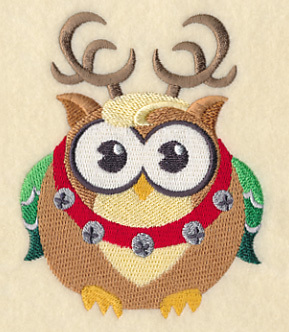 4.83" x 4.94" and 3.53" x 3.62"
Stitch feathered charisma and spread holiday goodwill with the Whooo Loves Christmas owls. 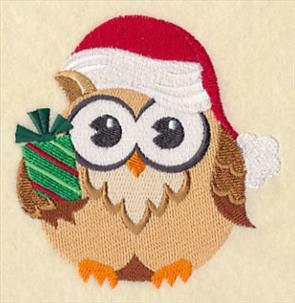 They're completely adorable on tote bags, stockings, sweatshirts, mini-quilts, and much more. Order the designs individually by clicking the links above, or get the pack with all 6 designs. Two sizes are available to suit any project. Create projects that wish family and friends everything this wondrous season has to offer with Tweet Tinsel Greetings designs. 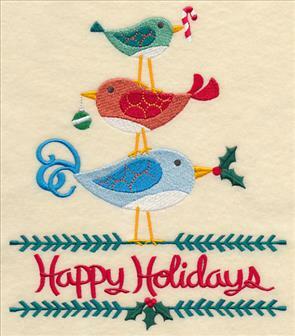 Stacks of birds holding candy canes, ornaments, and holly sprigs in their beaks perch atop warm season's wishes. 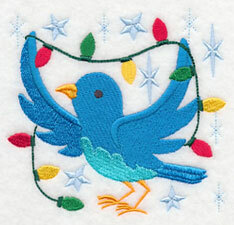 Perfect for creating embroidered greetings on towels, tote bags, stockings, tree skirts, and more! 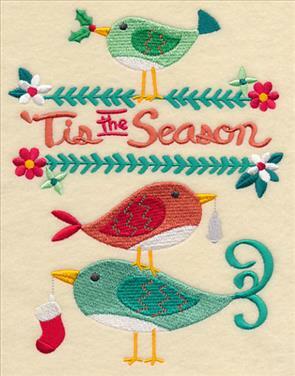 6.70" x 7.79" and 5.89" x 6.85" and 4.86" x 5.65"
Deck the halls for happy holidays with these festively feathered friends. 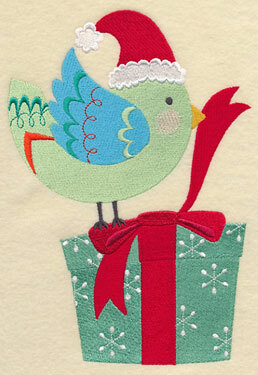 Add colorful accents to gift bags and stockings with "'Tis the Season" and "Jingle Bells" birds. 5.86" x 7.53" and 4.86" x 6.24"
Embellish a tote bag with a bright, contemporary look for the holidays with this stack of feathered fun! 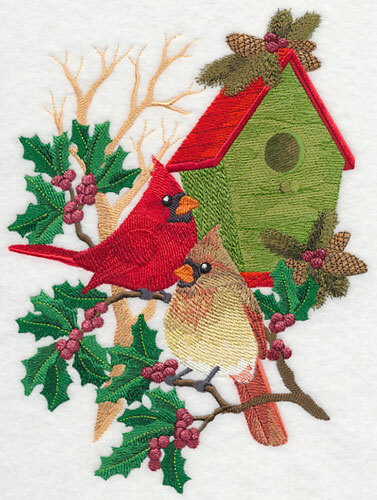 7.80" x 7.51" and 6.09" x 5.86" and 5.04" x 4.86"
Embroider Tweet Tinsel Greetings onto wall hangings, pillow covers, tote bags, towels, stockings, and more! 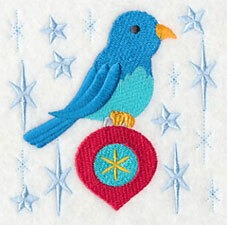 Stack up the fun -- and the savings -- by getting all these tweet birds in the design pack. Christmas is coming and 'Tis the Season Tweets are ready to ring in the yuletide season. 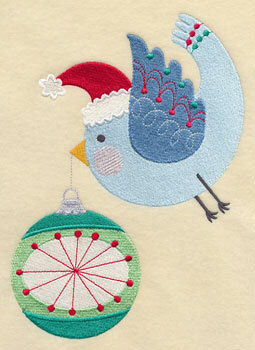 Whimsical birds and holiday elements are sweet on wall hangings, tote bags, table linens, and more. 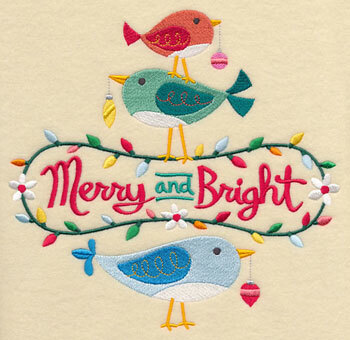 With a candy cane and a greeting card, these bright birds are delivering Christmas cheer to their feathered friends. One tweet puts the final touches on a special gift while another mails his letter to Santa. Adorable on Christmas stockings! Also a treat on wall hangings and mini-quilts. 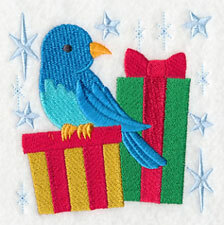 Stitch holiday charm onto stockings, totes, and towels with sweetly festive Christmas birds. 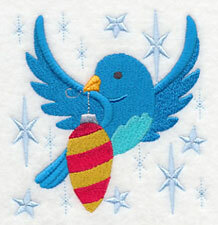 'Tis the Season Tweets are a fun and festive way to embellish holiday stockings, wall hangings, mini-quilts, tote bags, towels, pillow covers, and more. 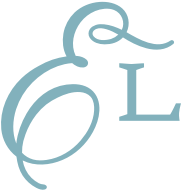 Get the design pack to have all these sweetly whimsical birds, and get the best price! Order the designs individually by clicking the links above, or get the pack with all 6 designs. Three sizes are available to suit any project. Your wishes for a classic Christmas centerpiece have come true! A chickadee rests on a mailbox overflowing with letters to Santa. Stitch a bit of the countryside dotted with splashes of holiday color onto pillow covers, wall hangings, quilts, and more for a cozy Christmas look. 7.80" x 6.73" and 6.74" x 5.81" and 5.65" x 4.90"
Each week this space is dedicated to the Special Request of the Week, showcasing one customer's design. 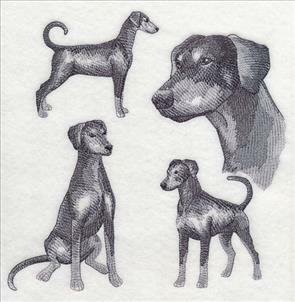 This week's request is from Kathy, who thought the handsome profile of the Doberman Pinscher would be a good study for sketched designs. 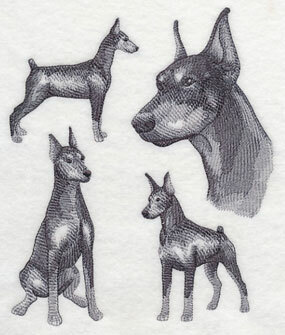 The Doberman Pinscher is a strong dog with great endurance and speed. An intelligent breed, Dobermans can readily be trained and are frequently used as police dogs. Stitch this affectionate and loyal dog onto tote bags, towels, pillow covers, and more! And thank you for the excellent suggestion, Kathy!